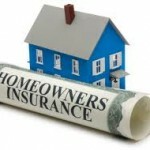 Insurance Coverage for Home Buyers- What are your Options? When home buyers begin loan negotiations with their lender or broker, they will come across the requirements regarding various types of insurance needed to finalize the deal. Some types are mandatory, and will be added to the closing costs or monthly payment obligations. Other types are optional, but may be included to assist the borrower in offsetting specific risk factors to the home, such as flood or home life insurance, or additional home warranty protection. This type of insurance coverage protects against many risks involved pertaining to damage of the home or other structures on the property. It also covers the loss of any personal possessions such as clothing or furniture, the liabilities and medical costs of injuries to individuals while on the homeowner’s property, theft or vandalism, and even the temporary relocation costs during loss of use while repairs are made to the home. The yearly expense is based on the value of the home, and the extent of coverage sufficient to satisfy the lender in terms of adequate collateral protection for the mortgage. This is necessary in cases where the home buyer puts up less than the 20% down payment requirement toward the purchase price. Its primary purpose is to protect the lender against loan default, and allows the borrower to purchase the home with only a 3% to 5% down payment. Depending on the loan type and down payment, a borrower can generally expect to make monthly payments of between $50 and $80 per $100,000 borrowed. However, once a 20% equity is achieved toward the loan principle, this insurance can be cancelled. In some cases, the premiums are even tax-deductible. With the home acting as collateral for the lender, this type of insurance covers both lender and buyer against past encumbrances that could affect the ownership status of the home buyer, along with the legal rights to transfer the title to other individuals. This insurance is generally between 0.3% to 0.5% of the price of the mortgage amount, though can be shopped for the most affordable cost. Having some kind of insurance, whether it’s one of the above or not, is highly recommended. It is important to protect your investment physically in terms of your house’s structure and appearance as well as financially.